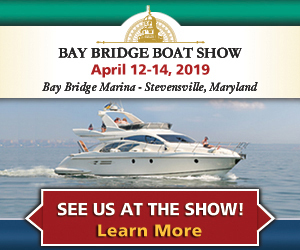 Exhibitors can greatly increase their presence at the boat show by advertising inside the programs—they are viewed by thousands before, during and after each show in print, on the web, and via email. *Exhibitor Affidavit Form – Required by the State of MD. Companies licensed to do business in Maryland may submit a copy of their MD Trader’s License. We will promote your new boats and products on our website, in press releases, in e-blasts, on Facebook, and on Instagram. Off-site parking is available every day at no charge. Buses begin running at 8am. 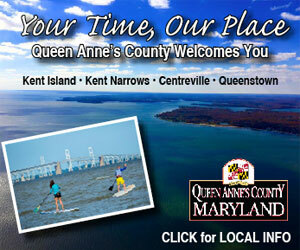 Matapeake Business Park on Friday & Kent Island High School on Saturday & Sunday. On-sit parking is $10, no exceptions! Overnight parking during the show for Trucks & Trailers will be at Matapeake Business Park, 1625 Sonny Shulz Blvd, Stevensville, MD 21666. Off-site parking available every day at no charge.